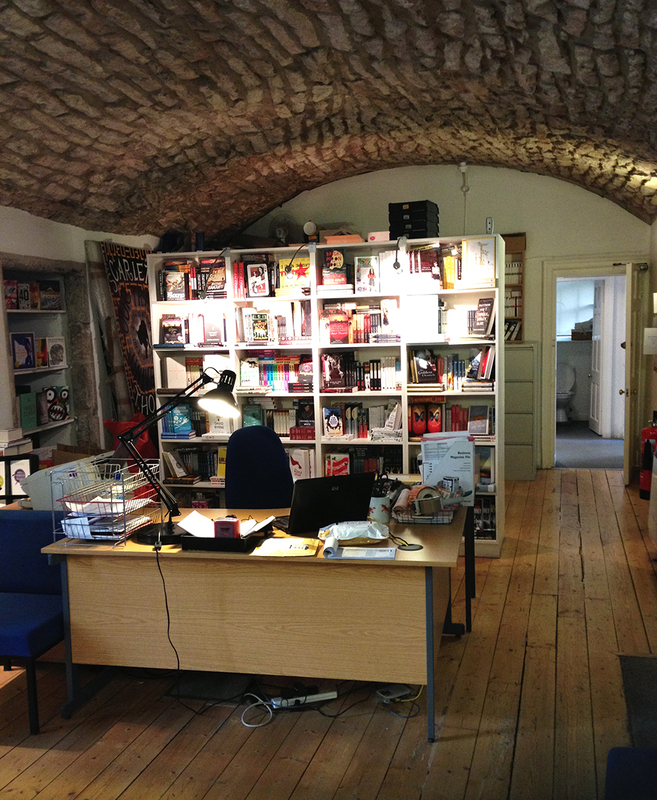 It’s not often you get the chance to see inside the offices one of the most dynamic, successful and influential publishers ever to come out of Scotland, but I was lucky enough to spend eleven days nestled in the beautiful tranquility of Canongate’s Edinburgh offices, right in the heart of the Old Town. Publisher of the Year in 2003, a founding member of the Independent Alliance (a global alliance of ten UK publishers and their international partners) and with some seriously high profile authors under their belt (cue Barack Obama! ), I felt truly privileged from the very first meeting in their glass walled boardroom. Above the table hangs an image I am more than familiar with: a birds eye view of a white life boat floating on the ocean, with an Indian boy and a Bengal tiger inside – the famous cover of Life of Pi. I had to at least try and hide my excitement. Canongate have no specific genre of content; their backlist is diverse and varied, from the hilarious yet insightful doodling of Scottish artist David Shrigley, to the definitive volume of Charles Bukowski’s striking poetry, to the gripping Laidlaw trilogy from acclaimed crime writer William McIlvanney – they truly cover all the bases. As the company approaches their 40th birthday this year, they have chosen to mark the milestone by publishing a celebration of life beginning at 40; a paperback and eBook made up of contributions from renowned authors, artists and illustrators that have worked with Canongate. Needless to say An Idiot Abroad author Karl Pilkington’s piece on his own fortieth birthday is a definitive highlight. Another was meeting the MD Jamie Byng – as friendly and relaxed as the rest of the team at Canongate, it’s easy to see why it’s a fabulously inspiring place to be. 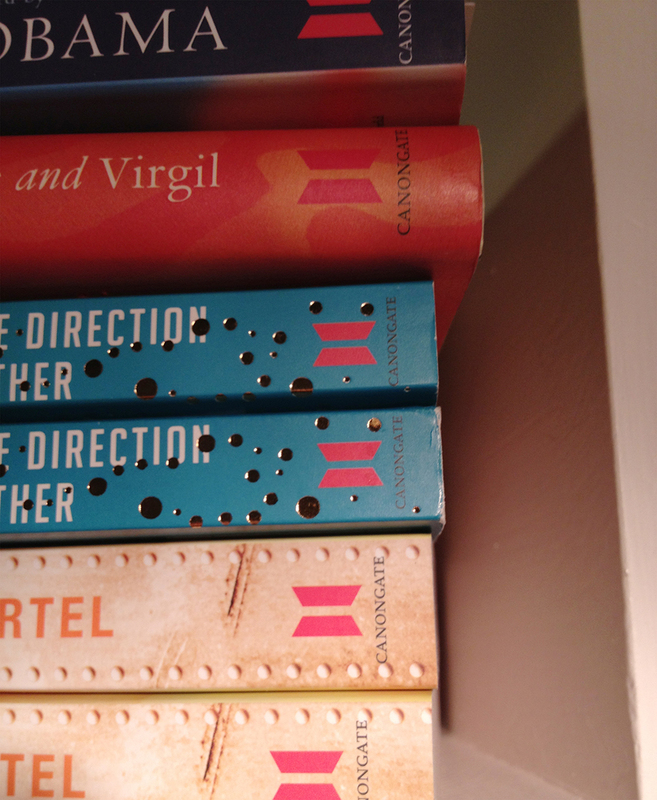 And the books… shelves upon shelves of wondrous words and gorgeous covers! From the outset, the Rights team of which I was to be a part – Caroline, Kirsty, Jess and Andrea – were friendly, fun and supportive. 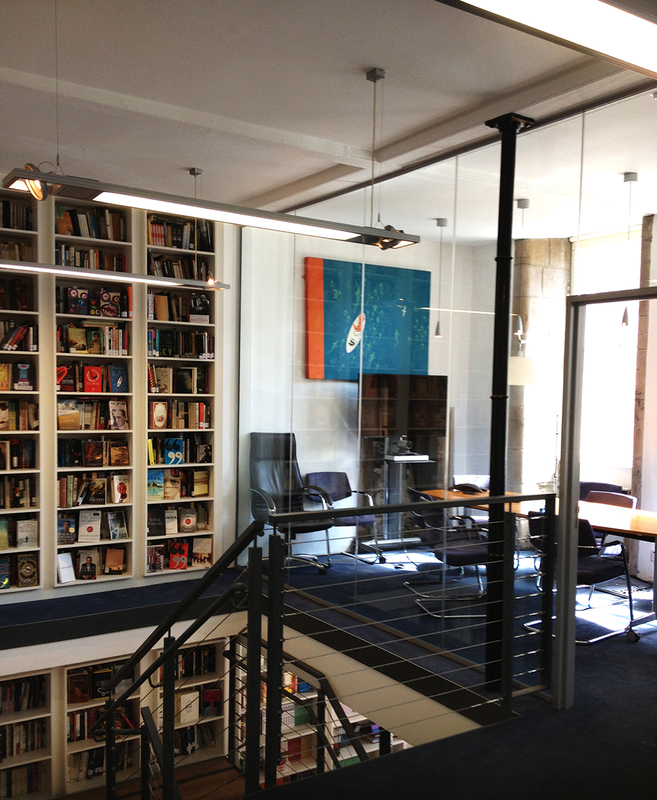 I looked forward to getting to the bright and beautiful offices every day, to help out where I could with correspondence, admin and social media; and even got to sit in on one or two conference calls with the London office about top-secret publications for 2014 – which was rather exciting to say the least! I was entrusted with responsibility from day one to carry out the tasks I had been assigned, which was very encouraging and made me truly feel like a part of the company. Some self control had to be exercised when asked to do mail-outs to foreign publishers, as it was far too temping to curl up and read the blurbs of the fantastic books I was supposed to be packing and posting. Thankfully I managed! My ‘to read’ shelf on Goodreads has grown considerably in the process. All in all it was a fantastic experience that I feel very privileged to have had – thank you to everyone at Canongate for making me feel so welcome, and of course for the occasional doughnut of a Friday afternoon! For a free download of ‘40’, the latest news and full catalogue, visit Canongate.tv, or follow @canongatebooks on Twitter.